If you have found your way to our site then somewhere in your family line you must be lucky enough to have a member of the Twitchett Family! Hopefully this site will help you to make contact with other researchers into the name of Twitchett. Do you like detective stories? Do you often have the plot worked out before it is revealed? Do you relish a challenge? Then Twitchett family history is for you! We have found out a great deal already, but there is always more to find, more memories to unearth and more surprises in store! However...much as one might like to trace the family back to links with famous ancestors, you must not expect to trace a direct line back to royalty! It is not given to all of us to have ancestors who bestrode history, whether locally, nationally or internationally. Whereas US Presidents like to trace their family back to sleepy villages in Ireland or Essex, I regret to announce that there is no guarantee that it works in reverse! 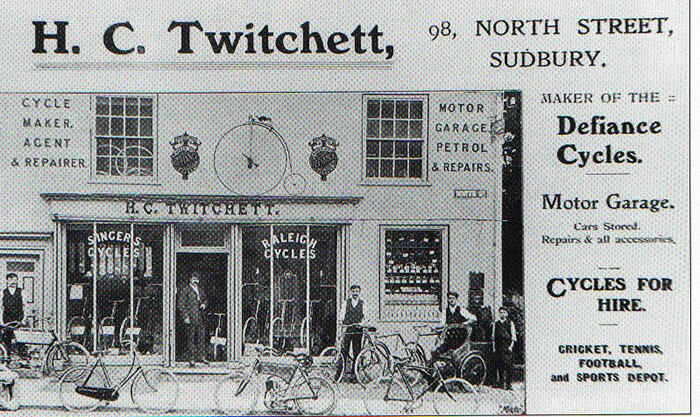 Many branches of the Twitchett Family ran shops of various kinds. This shop was in Sudbury ,Suffolk.. 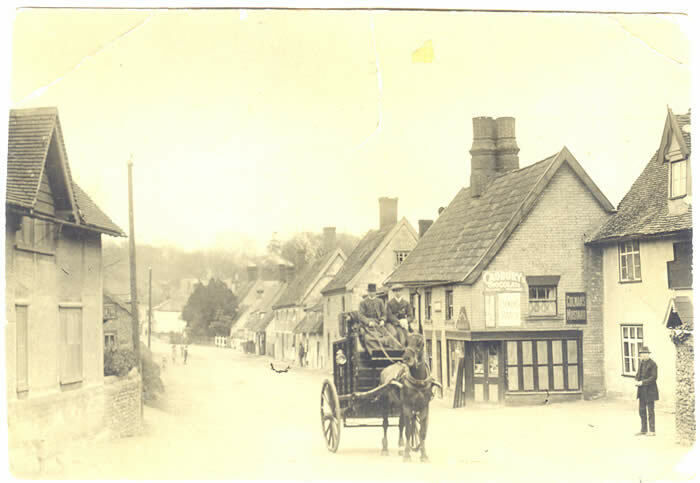 The building on the right of the picture is "Twitchett's Shop" in the village of Pakenham, Suffolk. Sadly, Gillian Applegate, who provided much of the information about Pakenham and Twitchett's Shop, died from cancer in the first week of December 2009. She was a contributor to Father's Footsteps and is greatly missed.